eCommerce optimization can be so all-encompassing and overwhelming that it’s difficult to know where to start. Do I begin addressing shopping cart abandonment, or should I encourage more engagement via social media? 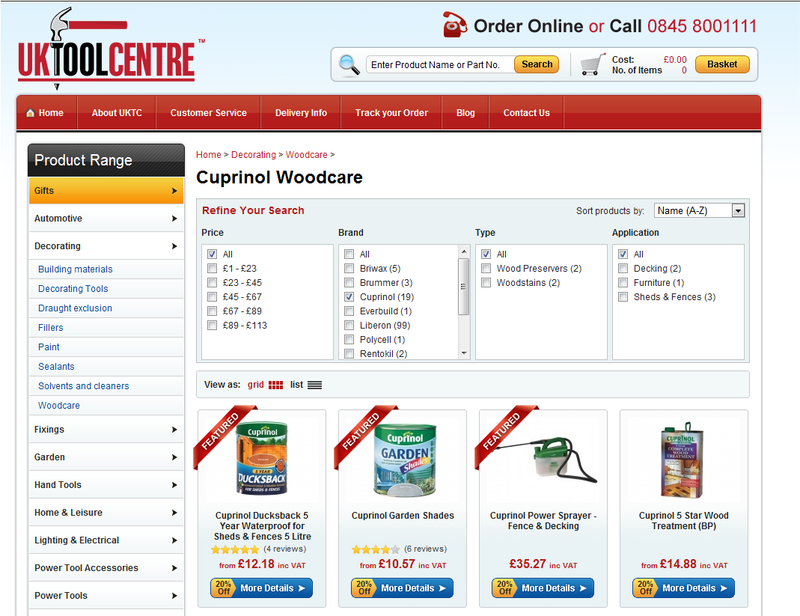 Do I focus exclusively on the checkout page or should I conduct user experience tests first? In this guide, we’re going to use the “eat an elephant” approach, in that you tackle it one bite at a time. In this chapter, we’ll cover how and what questions to ask your users in order to glean the most important details that power how they buy. We’ll go beyond typical paid advertising-style market research—as that’s just one piece of the puzzle. We’ll look at tools, both free and paid, that can boost your market research efforts exponentially—even if you don’t yet have a solid customer base. Most shopping cart optimization pieces deal with the technology that’s powering the cart—but that’s a very small consideration when you’re looking at the big picture. I believe it’s not so much what cart you use, as how you use it. We’ll dive into what causes shopping cart abandonment, what happens when your split testing ideas tank (you are split testing, aren’t you?) and much more. We felt this part of the shopping cart was so important, it deserved its own chapter. Here, you’ll learn how to quickly address common last-minute customer jitters that prevent them from checking out, plus simple little tweaks you can make to encourage them to click the “Pay Now” button. Social media represents a great opportunity for ecommerce websites—but the way that most of them approach it today is enough to make you face-palm. Learn the right way to engage and stream visitors into your shopping cart through Facebook, Twitter and Pinterest, and how to avoid the most common social media marketing traps that discourage users from clicking. This chapter goes beyond just “responsive design” and delves into bootstrapping, responsive email, the secrets of tablet shoppers and much more. Of course, responsive design aficionados will find plenty of design, prototyping and ideas to keep them full and happy too. Discover the truth about what makes mobile shoppers different, and why you’ll need to approach them a different way than your typical online user. See what makes them tick in this chapter. If you’re ready to get started learning invaluable insights about your customers and how they interact with your website and shopping cart at every stage of the process—you won’t want to be without this guide as you optimize your cart. Let’s get started! For many businesses, marketing research begins and ends with Google’s Adwords Keyword Suggestion Tool. It stands to reason that the largest search engine would typically have the most data on what, exactly, users searched for, how much competition is out there, and how much it might cost to bid on those keywords. Too often, great deals of attention, time and money are paid toward getting that traffic, with very little done to turn those visitors into happy customers. For that to happen, you need much more than search engine data. And fortunately for businesses on a budget, market research doesn’t have to involve large focus groups or tedious user profiling. You can glean quite a bit from your competitors, your target market, and even your existing customers. For example, let’s say you’ve just launched a website devoted to eco-friendly products and recommendations for expectant mothers. Although it sounds like a very small niche, this is a specialty area that has actually become a very hot topic—so there’s a lot of competition out there. It stands to reason, then, that these types of users would likely be members of eco-friendly organizations and movements, involved or interested in politics, perhaps growing or sourcing their own food and biking to work—among other things. These types of concerns also carry over to how they raise their children, so giving moms that peace of mind is vitally important to an ecommerce site like this. See how much information you can learn just by visiting a company’s About page? Granted, not every competitor is going to let you peek behind the curtain, but most have an Our Mission, Our Values or other statement on their site that you can read. For the best possible results when user testing, you’ll want to create a set of tasks that have your users engaged in your site—such as sorting products based on where they’d expect to find them, navigating through the checkout process and giving feedback as they proceed, and so on. Do users know how to navigate the site effectively? Are they aware of where to find different products or do they stumble? Do users typically use breadcrumbs to retrace their clicks or do they rely on the back button? Does the site search deliver expected results? Can users take advantage of product filters to sort and segment items? Were the results what they wanted? Does what’s displayed at checkout match what the user would ordinarily expect to find? Does the user have any concerns about providing requested information before checkout? *Note: user tests do not ask for credit card information, or they typically provide testers with a fake name and number to conduct the test with. Are there any unusual error messages or problems filling out forms? With most user testing applications, you’ll be able to see a video of the user’s interactions with your site, so you and your team can pinpoint areas of difficulty or sections that may be confusing or even broken. The next step is to actually conduct a user testing session. The good news is there are a variety of tools that can help—from finding you the people who fit your target profile to helping you understand and analyze the results you get. Here are a few of our favorites. Heat maps aren’t all we do. We also do scroll maps, which show you how far users scroll on your website before their attention span fizzles out. And we do confetti maps, which let you tie user clicks to their source. For example, are Facebook users or Twitter users more likely to click the “share” button on your website? Not all traffic clicks in the same place—so why treat it that way? You can get a free trial with full functionality of the service at CrazyEgg.com. Our clients have been known to completely redesign their site based on the information they gleaned from CrazyEgg heat maps. If it can have that kind of impact on one site—think about what it could do for your own. 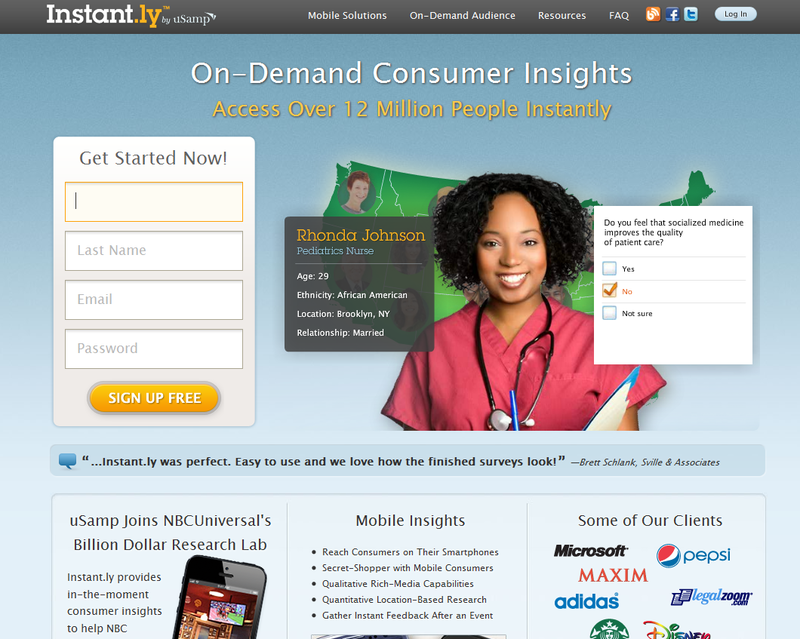 Instant.ly has a network of 12 million+ users ready to help you conduct your user testing. There are no limits to the questions you can ask on your survey and no limit to the number of responses you can collect—although the more questions you have, the more likely people will drop off before they complete it. Depending on the information the survey taker has elected to provide, you can learn their name, age, occupation, relationship, location, ethnicity and even income level. There are both free and paid varieties available—with the free version sending out to your own contacts and social networks while the paid queries Instant.ly’s own database of customers. 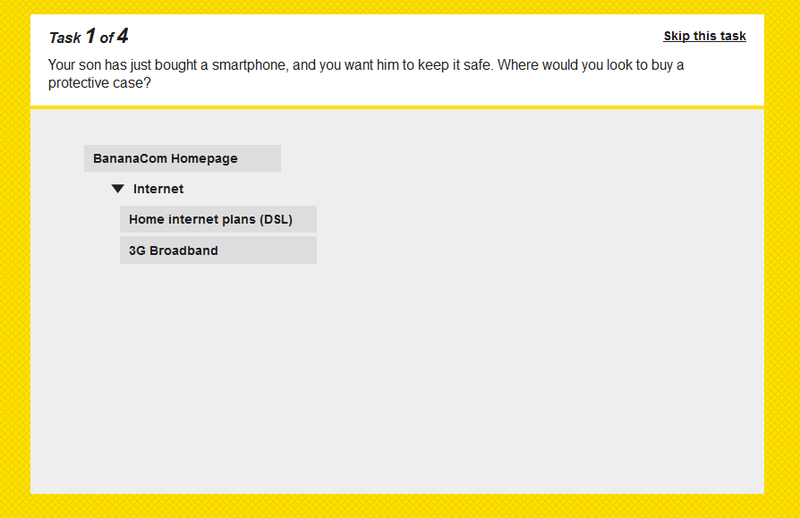 One of the points that sets Instant.ly apart from the competition is its mobile device survey offering. You can use a QR code to launch a survey after an event, embed ads or logos and ask for audience recall, or invite mystery shoppers to double-check products, displays, and so on. The surveys work on both Android and iPhone devices, and, as with the user testing sessions, free and paid versions are available. Usertesting.com is one of the most popular choices for website testing. Using a proprietary system, they record videos of users performing actions you specify on your site while giving you their thoughts, suggestions and feedback. What separates UserTesting from other testing and survey sites are its pre-made templates, which already contain most of the types of questions you’d want to ask. With these templates at your fingertips, you’re not completely stuck on what to ask, and you know you’re asking the questions that will give the valuable insights you need to improve your ecommerce website. Mobile results are available for both Android and iPhone/iPad users. You can request users to fill out written questions in addition to the videos. And you can choose the number of participants, with the price increasing per participant. 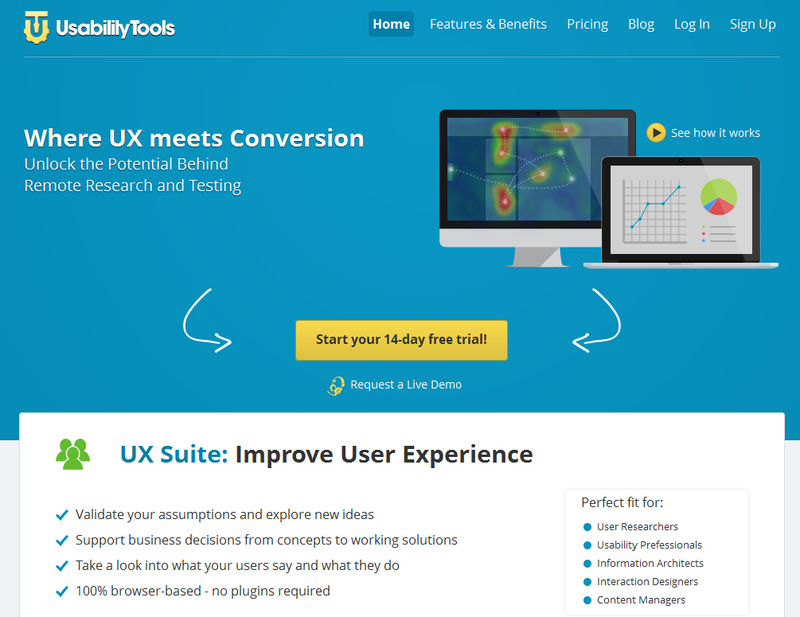 UsabilityTools has two suites, one for user testing and one for conversion optimization. Each works independently of the other. The user interface (UX) testing portion allows you to conduct scenario-based tests, enable card sorting (let your users place navigation elements in the way that would make the most sense to them), click tracking and surveys among other things. 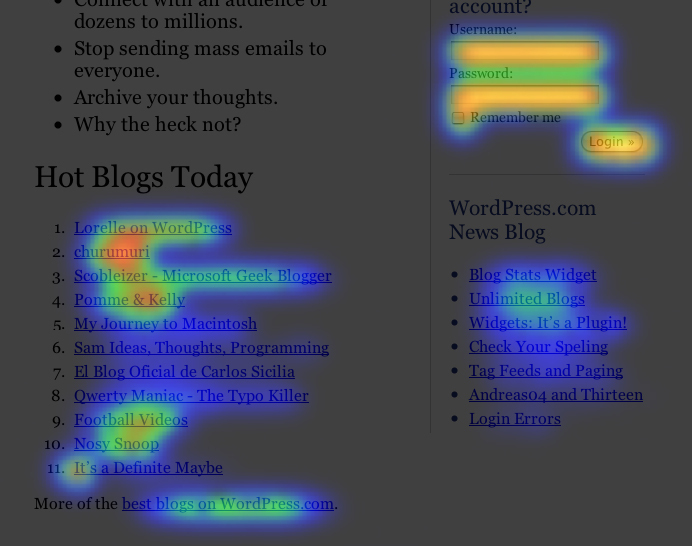 The conversion suite incorporates mouse-tracking, heat maps, and feedback tools. If you’d rather have all your usability tools together in one service, Usability Tools is an option. However, none of the tools are as specialized as what you’d get from an independent service focusing on one particular element (for instance, just recorded user tests or just heat maps). Pricing is customized according to your needs. A 14-day trial is available, which lets you try all of the features of the program. And while these usability programs are good for overall website tests, there may come a time when you just want to get user feedback and opinions on things like your website navigation, a proposed screenshot design or a wireframe. What should you do then? Here are a few options. 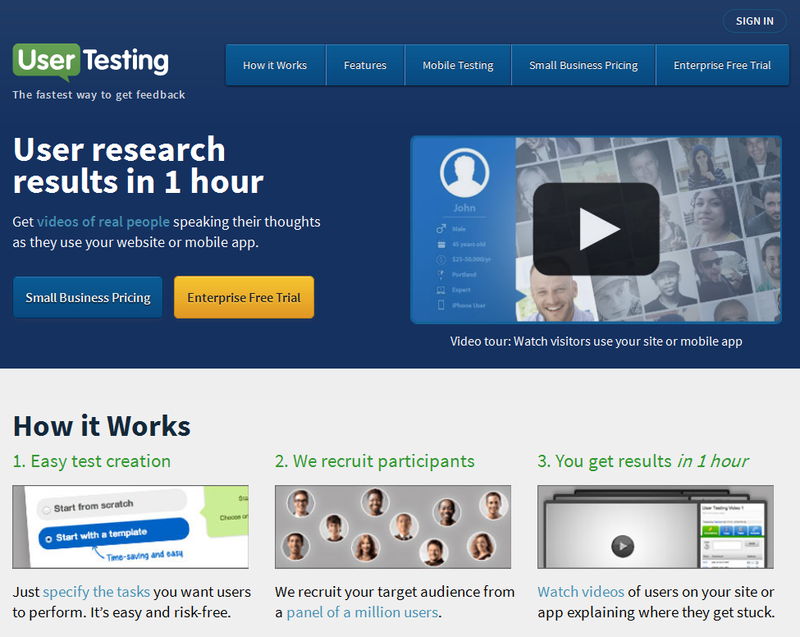 Most user testing solutions are too expensive to be used on individual website elements. Fortunately, there are specific tools available for just these types of projects. From the survey-giver (your) end of things, you can see results based on submitted answers, how long it took for each task to be completed, and so on. Each task has the ability to drill down and get deeper, more meaningful answers. 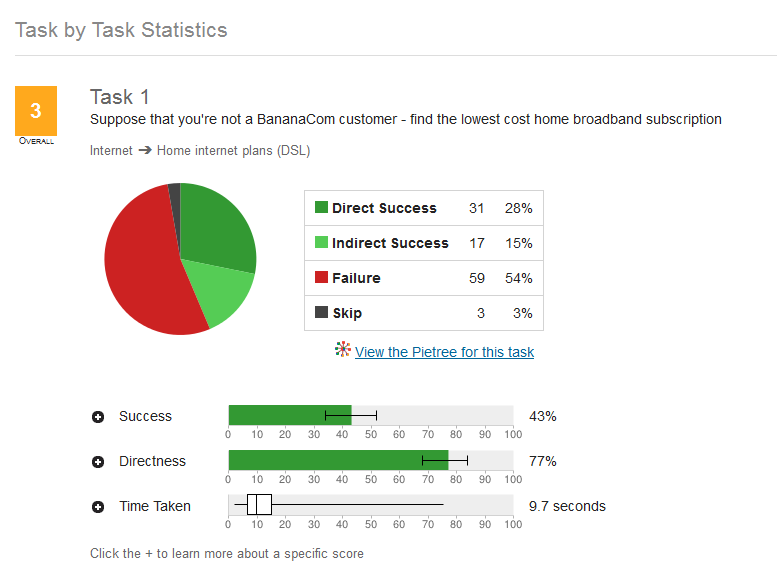 The survey will also tell you which users failed at the task and which ones skipped it altogether. The makers of Treejack have also developed a sister product, Chalkmark, that allows you to upload sketches, wireframes or mockups and get users’ first impressions about your design, the placement of new objects, and more. You can track the clicks each customer makes to determine if the placement of your elements is ideal for your target audience—a great way to achieve comprehensive, qualitative results without going full speed in the wrong direction with a new design. By this point, you likely have a clearer idea of the type of market your site is serving. But your competition is also out there vying for your market’s business and their hard-earned money. Any serious market has competition—if you don’t, it’s not because you’ve stumbled upon some magic ‘gold nugget’ niche—it’s because either there’s no demand for what you want to sell or people don’t find it profitable enough to launch a business in that sphere. What type of products/services do they offer? After you’ve got your list, it’s time to concentrate on what you do best that gives you a competitive edge in this market. More specifically, what are you going to do to differentiate your product from the rest? Whatever your reasons, it’s not enough that you know them. Your customer has to know and understand them as well. To do this, you’ll want to take steps to make sure they know what kind of value they get from your point of differentiation. In some cases, it’s obvious. Example: Company’s faster delivery means our widgets arrive on your door fast and ready to assemble. Other times, it’s less obvious and needs explaining. Example: Better craftsmanship and smarter engineering. This needs more explaining, which could be done via a video comparing your parts/workmanship to that of your competitors or showing your portfolio to demonstrate your expertise. In this chapter, we’ve covered some basic, affordable and easy-to-use tools for market research. Pinning down your target customer may seem like a boring step (especially when you want to improve your ecommerce website!) But everything else in the following chapters will hinge upon your ability to target the right people with the right offer at the right time. Get that part wrong, and it doesn’t matter how much traffic you have or what your search engine ranking is. People simply won’t buy. Take steps now to get your audience’s feedback about your site and your products. Make a concentrated effort to clear any roadblocks or friction points that are preventing them from taking action. Gather their feedback and use it to make meaningful changes. In the next chapter, we’re going to look at the core of optimizing your ecommerce website—the shopping cart. The truth is, it doesn’t matter nearly as much as you might think on which brand of shopping cart you use—most of them are robust enough to handle the basics. What really matters is your site’s level of shopping cart abandonment. We’ll be taking a look at why people abandon their cart and how to prevent it—including using wish lists, split testing (and what to do if your split test goes wrong), testing prices, using urgency and more. If done right, each of these techniques has the ability to significantly improve your ecommerce conversion rate. So what are you waiting for? Let’s take a closer look under the hood of that shopping cart! Your shopping cart is at the heart of your ecommerce marketing initiative. It has to be reliable, easy to use and incredibly user friendly. Most of the best shopping carts on the market today can handle basic order processing and customization options with little programming or technical experience necessary. The problem for most ecommerce websites isn’t what shopping cart they’re using—it’s getting customers to be comfortable, confident and trusting enough to click those Checkout and Process Order buttons. According to eConsultancy, 67% of shopping carts are abandoned before a transaction is completed. That’s more than two-thirds of your potential orders lost, customers concerned and profits gone—and it’s a staggering number. As you can see, shipping is a major concern—and one of the most preventable reasons for customers leaving their digital carts without buying. But Shipping Is Out of My Control! What Can I Do About It? While your shipping does depend on a third party, that doesn’t mean you can’t have a role in communicating efficiency to the customer. Many of the best shopping carts include APIs for third-party integrations like shipping services. APIs are like specific programming instructions that teach your website how to interact with the shipping provider. If you can provide an estimated shipping date (or better yet, order tracking), do so—as nearly 1 in 4 customers will stop the checkout process if there’s no estimated shipping date. If an order takes more than a week to arrive at your customer’s door, you can also bet they’ll be putting the brakes on their payment. Letting customers track their order will give them peace of mind that their product is indeed on its way—and quick shipping makes for happy customers. What about Customers Who Aren’t Ready to Buy Yet? A lot of online shoppers will be the first to admit that they’re just window shopping—a report by Forrester showed that only 3% of shoppers make a purchase during their first visit to a site. 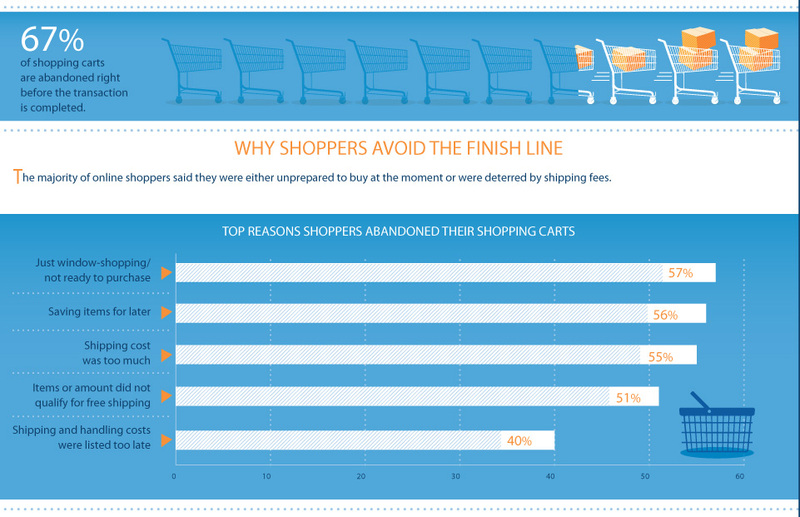 Of the other 97%, 71% will add an item to their cart then leave before buying. The “Not ready to buy” part is one area where you do have considerable control. The response of “not ready” can mean any number of things, so when this is the case, it’s worth having a retargeting campaign in place so that you can remind those customers of the pages/products they looked at—even when they’re on other sites. Retargeting is at work any time you’re browsing another site, and you see products or ads for sites you’ve previously visited, attempting to lure you back into completing your purchase. It’s incredibly common on news sites and social sites like Facebook. 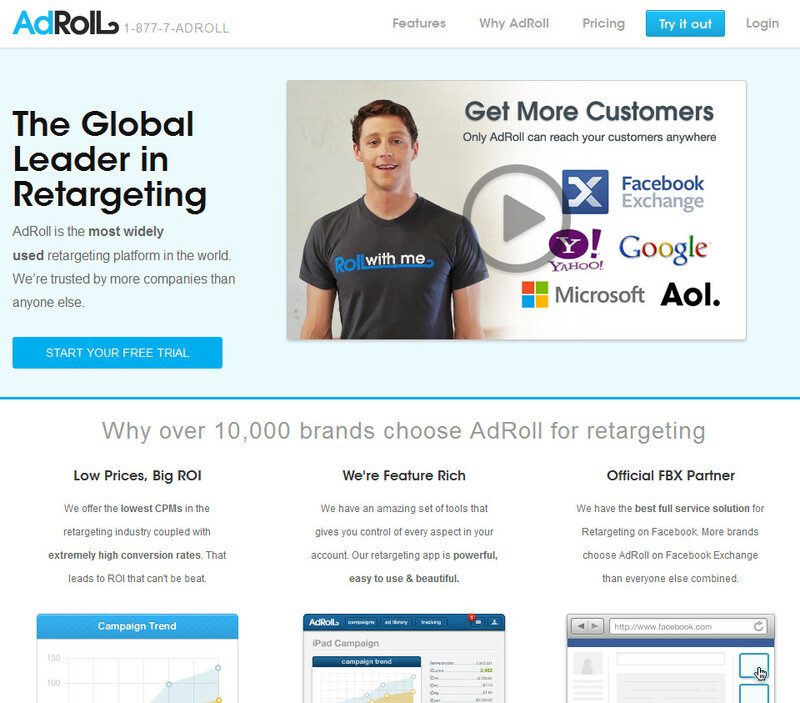 Perhaps the most well-known retargeting solution providers, AdRoll serves businesses large and small. Well-known clients include Nutrisystem, Nestle, Overstock.com, Levis and Salesforce.com to name a few. AdRoll reaches customers on properties including those owned by Yahoo, Facebook, Microsoft, Google and AOL. A free 2-week trial is available. Pricing varies depending on the number of ad impressions you wish to buy. 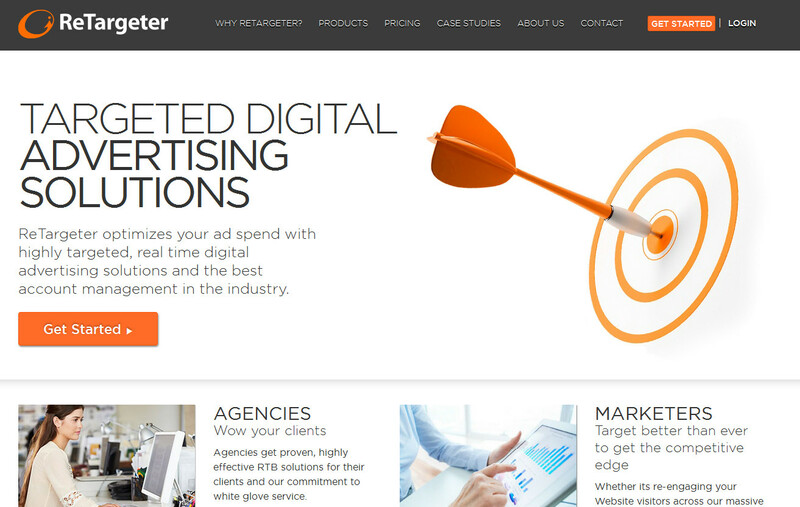 Retargeter is another highly popular choice for re-marketing to customers. Their pricing is also based on impressions and is separated into site-based retargeting and audience-based retargeting. One of the more interesting features that Retargeter offers is the ability to target customers based on the action they took—whether it was as simple as searching for keywords related to your business, opening an email from you, or sending you a message through social media (among other things). Pricing starts at $1,500/month, and certain products have specific requirements needed to help you optimize your ad budget for the best possible return on investment. 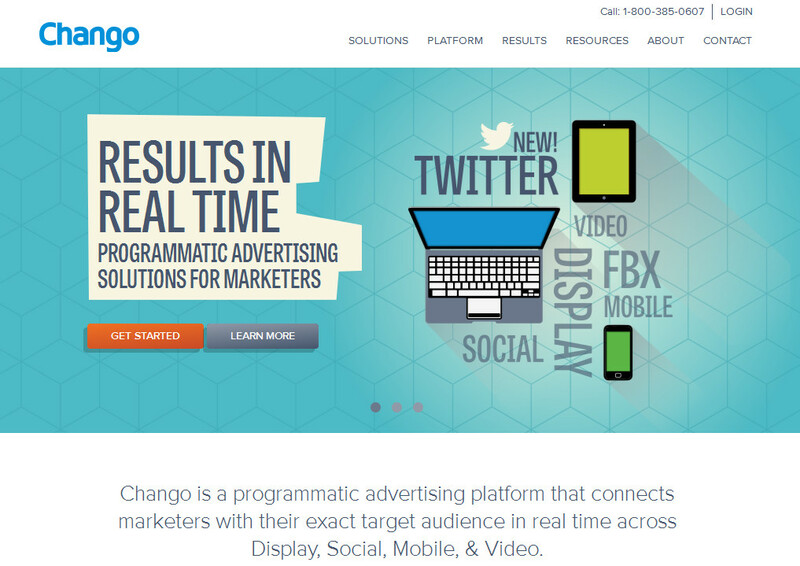 Chango refers to their ad platform as “programmatic,” meaning they can deliver real-time results in fractions of a second to help match audiences with tailored ads. Their retargeting services span a variety of media formats, including display ads, video, Twitter and Facebook. If you’re thinking of launching a multi-pronged approach to retargeting through social, mobile, video and regular display, you may want to look into their offer a little more closely. When you think of banner advertising, you don’t often think of a high conversion rate, right? Well that changes with Dispop. 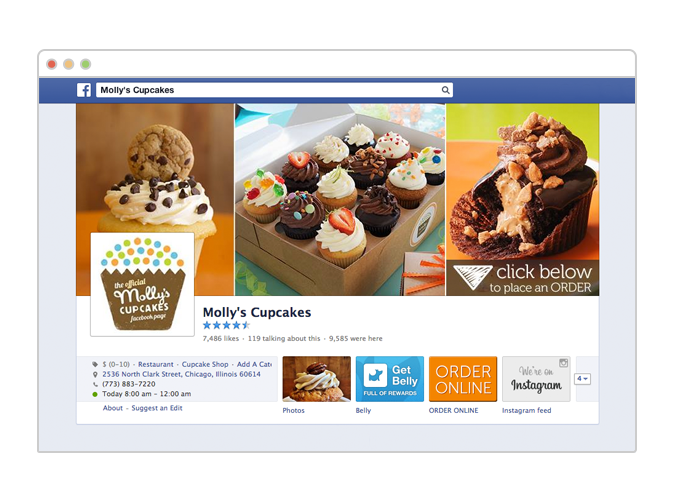 With both targeting and retargeting options, DisPop designs compelling banner ads for display on the web and Facebook. A clean, crisp analytics dashboard lets you view your results by number of impressions, clicks, cost, CTR or conversion rate, so you can immediately tell how your ads are performing and who they’re resonating with. What about All the Other Cart Abandonment Reasons? A group that adds items to their cart to save them for later. Comparison shoppers are all about getting the best—whether it’s selection, price or service. Even if you shout from the rooftops that you have a “low-price guarantee”—that phrase is used so much, it has almost become clichéd to shoppers’ ears. If you truly do have the lowest price around, you can make this abundantly clear on your product page simply by showing all your competitors’ prices in comparison to yours. The benefit of this is two-fold: it stops users from going to those “other sites” to comparison shop, and it proves that you indeed have the best price. If you don’t have the lowest price—you have to communicate another clear value to the customer in order to convince them that your site is the best possible option. 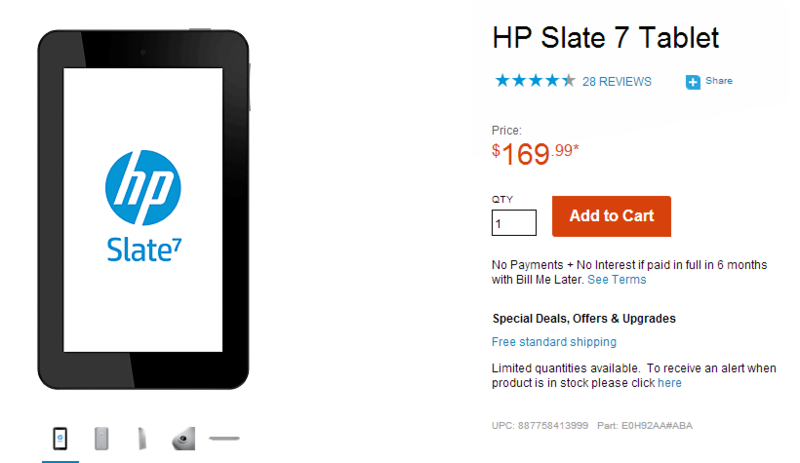 This perceived value could be faster shipping (or better yet, free shipping! ), better customer service, a larger selection of items, product maintenance/update reminders, you name it. Whatever your chosen value is, make sure you communicate it across all of your channels, so customers won’t be shopping based solely on price! Customers who add an item to their cart in order to “save” it for later purchase do this because they believe it will still remain in their cart. Unfortunately, many items expire from the cart after a set period of time. The best shopping carts include a wish list functionality to let customers add the item and keep it there for future purchasing until it’s out of stock or discontinued. A wish list is also an ideal way to encourage people to revisit your site after their cart has been abandoned. As part of a retargeting campaign, you could remind them of the items they’ve left in their cart and suggest that they add them to the wish list instead. Make sure to let them know that items in the cart expire after a time and that moving it to the wish list will ensure they get the deal they really wanted! Another crucial point to keep in mind when optimizing your shopping cart and ecommerce site overall is that sometimes even the best split testing ideas can cause conversion rates to crash. Trying to Be Helpful Can Backfire! When you think about online shopping, one of the most seemingly helpful features of the cart is the ability to filter items. Being able to sort by things like color, price, brand and style makes searching and finding the right product easy and hassle-free. But in one case study, including a product filter actually hurt more than it helped! Ordinarily, adding a product filter would be seen as a step in the right direction, as it helps the customers find the exact product they want. But in this case, customers who want wood stain—and search for an actual brand name—already know what they want. They don’t need to be hindered by a “refine your search” menu. Can you guess what happened when they removed it? 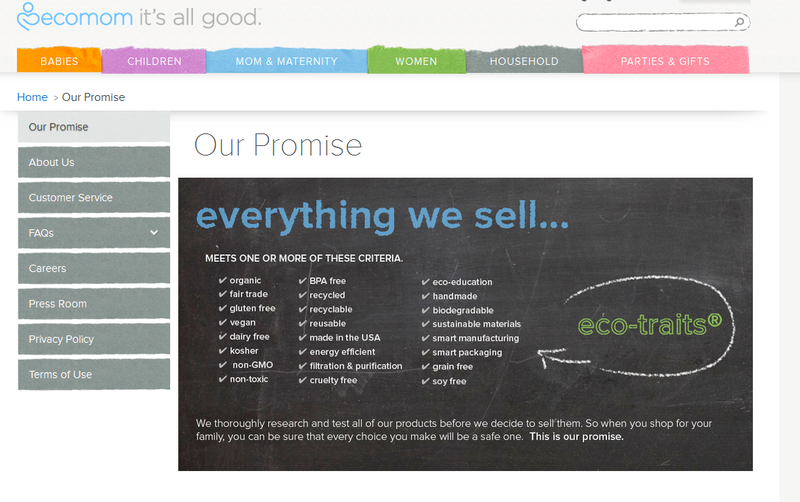 Product page engagement went up 27%—that’s an enviable number for any ecommerce site! But it also shows what happens when people blindly follow “best practices.” They’re the best choice for some, but just practice for others! You shouldn’t dismiss A/B split testing entirely. It’s worth it to find out what works for your particular website and your particular customer. It’s fine to look at best practices to get a general idea of what to test, but don’t be surprised if your results are completely different (either good or bad) from the company that’s the focus of the “best practice” being spotlighted. Pricing is one of those “grey” areas of testing—it has its own set of pros and cons. On the one hand, price is a major factor in whether or not customers ultimately decide to buy, so on the surface, it would make sense to start testing there first. But you have to do so carefully. For one thing, constantly changing prices on your site from one day to the next for the same item is illegal in some areas. 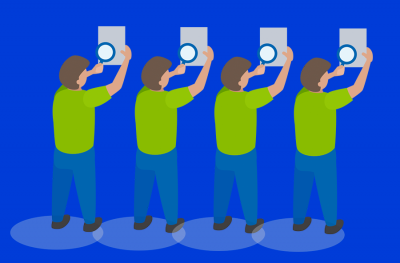 You can easily conduct a user testing session where price range is one of the questions asked, but testing prices publicly comes with a its own set of responsibilities. One thing you don’t want to do is change prices solely based on specific data—such as location, device used, etc. A couple of years ago, travel site Orbitz was found showing higher prices to Mac users than PC users because it was discovered that Apple users tend to spend more than their Windows-using counterparts. Needless to say, angry Apple fans took to Twitter and traditional media to voice their outrage. But if you’re looking at the study from a marketing point of view, you’ll see that Orbitz does have a point—Orbitz’s own data revealed that Mac users typically spent 30% more on hotels and were 40% more likely to book a four- or five-star stay, and Orbitz used these shopping preferences to develop its pricing strategy. That’s just one example of behavioral targeting. In the end, it’s not just about Mac users being targeted because they own Macs, as the original article implied. Basing pricing solely on one trait is discriminatory. You have to take a much broader view of the user. Rather than simply looking at their type of computer or smartphone and deciding that they should pay more, you have to take into account things like past purchases, shopping behavior (what other sites do they frequent? ), disposable income, and so on. All of these details are necessary to build a true shopping profile of a specific user. The biggest shift that comes with testing prices is the consideration that somehow the price isn’t aligned with the value you’re trying to communicate to the consumer. Of course, you can make more money without making more conversions, and vice versa. The trick is to find that middle ground where pricing, value and profits align. When it comes to testing prices, there are two very different schools of thought regarding the matter. It’s a good idea to read and understand both the pros and cons so you can make an informed decision for yourself. There are some users that will simply not go beyond a certain number when it comes to price. The question to ask yourself is then “what number could I put on this product/service that presents a clear impact on my target market?” Sometimes, a price can actually increase because the business took steps to maximize their presentation of the product—thus increasing its perceived value. There are other factors too, beyond the numbers. The color, size, quality/features included, and so on. All of these are things that can be tested independent of price. But when you’re testing the number itself, make sure all your tests are consistent and that shoppers aren’t seeing different sizes/colors/features so as to muddle the test results. In addition, sometimes the money saved can be the difference in a conversion. Do people respond better with a percentage or a dollar amount? Several years ago, in the midst of the recession in the U.S., one company tested both % off and $ off amounts against each other. The $ off coupon resulted in 170% more revenue. Now, this doesn’t mean you should run out and immediately change all your % savings campaigns to dollar signs—test the two to see which one results in more sales in your unique case. In some cases, it’s actually illegal to offer different prices to different segments of the general public. As was the case with Orbitz, when people discovered they were being offered specific (higher) pricing based on the device they used, they were understandably upset. Would those same people have complained if they were offered a free or discounted upgrade based on their device? As of this writing, it’s still a digital taboo to change pricing based on things like location or device used. But with so much information available about shoppers, you can bet that any smart marketer would use these freely-given details to their advantage to promote more personalized content. The bottom line on testing pricing is that it’s still a very grey area with many different points to consider rather than just shifting the numbers around. Urgency can still be used successfully with digital products, and it can definitely be used well with tangible products. Let’s take a closer look. At their core, people really don’t want to look foolish—and they’ll do almost anything to prevent that pang of regret, including not buying when an item is on sale. Rather than throw up a standard “out of the box” ecommerce template with a photo or two, price, description and a buy now button—let customers know when inventory levels are low and if/when the item will be backordered. 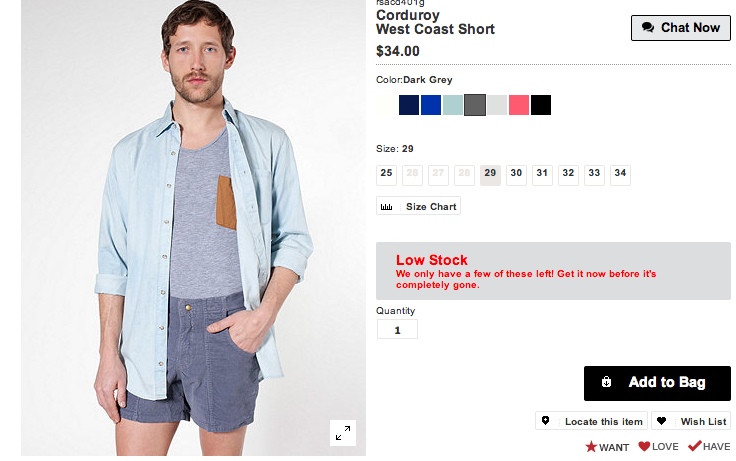 American Apparel does this with their products. A simple message like this can let people know that they might miss out and, if they really want the item, to get it now while it’s guaranteed to be in stock. You may need to have some custom programming done to make this work for your particular site. In some cases, existing shopping carts also have this functionality available as an extension or a plugin that you can purchase. Remember where I mentioned that no one likes to look like a fool? Social proof is one way to prevent just that. Things like “X people like this / bought this,” ratings, testimonials and reviews bolster a product’s quality beyond any description the company could include. 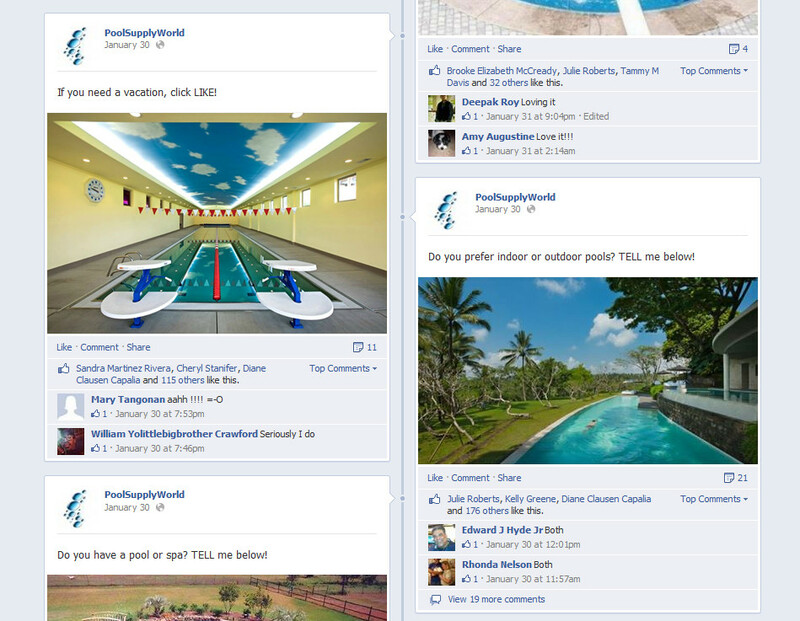 Social proof demonstrates that others bought and enjoyed this product or service—so you likely will too! It’s very common in the retail industry to show a default “manufacturer’s price” or “retail price” and then show the store’s price as an example of what you’ll save. This is done to some degree online, but why not take it a step further? Since people love to comparison shop, why not compare your product’s price to that of your biggest competitor? 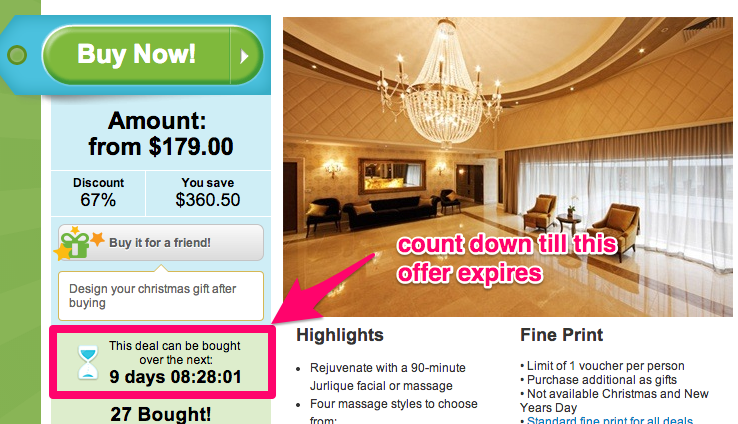 Assuming yours is lower, you’ll save shoppers the trouble of going elsewhere to learn what your competitor is charging. Stand-alone product photos are the standard when it comes to ecommerce websites. But what if you could show your product being used by a customer? Could you do a video tour or demonstration? This would give customers an inside look at, not only what the product really looks like, but also how it performs and how it’s being used by people just like them. 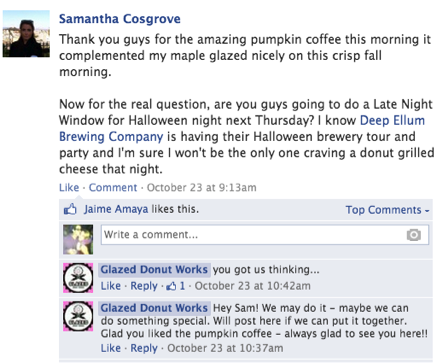 One of the best ways to grow your brand is to invite customers to share the love via social networks. However, no one wants to be seen as an outright mouthpiece for a particular brand (unless you’re a teen or twenty-something). When that’s the case, invite them to tweet or post on Facebook about the awesome deal on the product they just bought—rather than directly praising the store or the brand itself. This way, it puts the shoppers’ friends “in the know” on great deals that they’d likely be interested in as well. 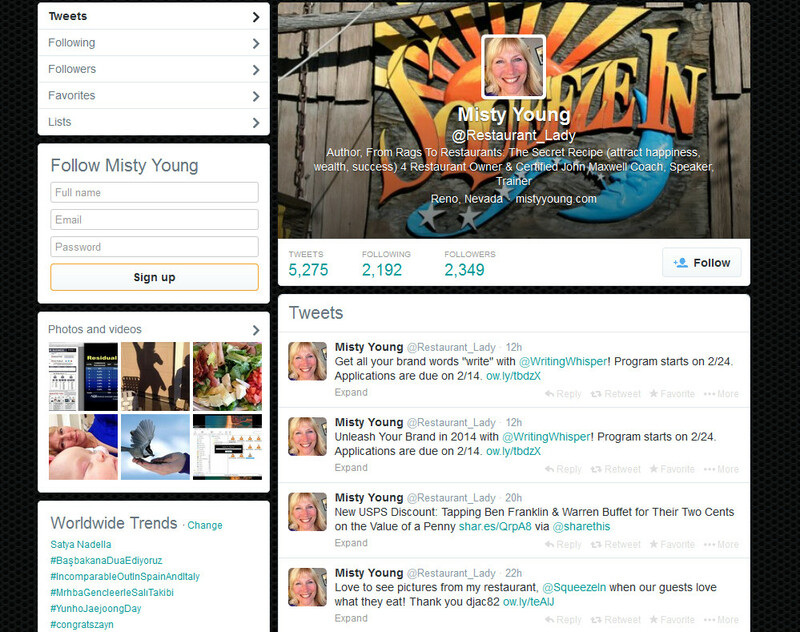 Bonus: pre-fill in your shoppers’ tweets/posts to make it one-click simple for them to share the good news! In this chapter, we’ve taken a look under the hood of the shopping cart—learning more about marketing tactics that can be used to boost sales and engagement. We’ve discussed pricing tests, ecommerce tips, why customers abandon their carts, and retargeting efforts to bring them back. As you can see, there’s a great deal that goes into a buyer’s discovery, shopping and ultimately connection with your brand. By nurturing their interest every step of the way, you’ll help give them the safety, security and confidence they need to be able to buy online in a way that’s both comfortable and convenient. 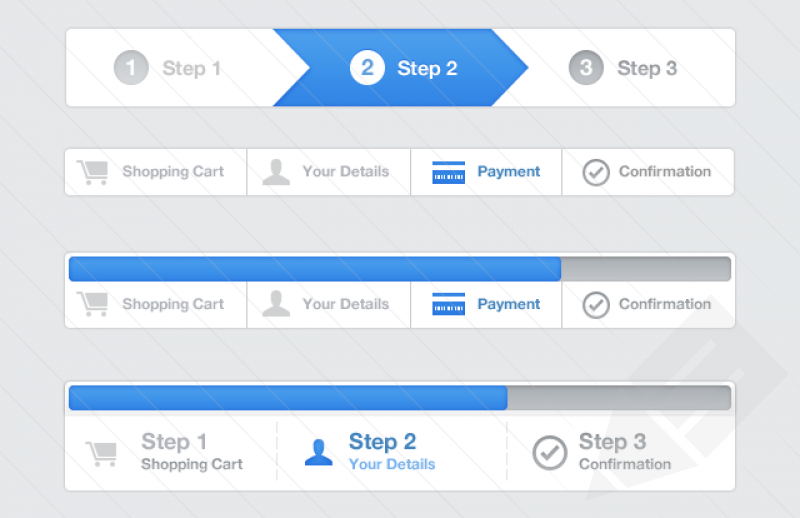 Next, we’ll look at one of the most pivotal points of the shopping cart experience—the checkout page. This is where “the rubber meets the road” and, for many shoppers, is the last chance to check their order or leave it behind. You’ve got them this far—don’t give up! This is it—the moment you’ve been waiting for. Everything you’ve done so far has led you to this moment. You can’t afford to have your customer turn back now. That’s why optimizing the checkout page is a little-known but absolutely vital strategy to improve your ecommerce conversion rate (and boost your sales!) And although it’s “just one page,” the checkout can have a remarkable effect on your brand and all your other marketing efforts. Here’s how to make sure that effect is the best it can be. There’s perhaps nothing more frustrating than not being able to change your quantity, size, color or other facets right before checkout—and having to hit the back button only to discover that the page is no longer available. Makes you want to just give up, doesn’t it? To prevent this, let customers double-check their order one last time. Show them the item, photo, size, color and any other relevant details so that the shopper can be doubly sure that what they’re ordering matches their expectations. Sometimes, having several steps in your shopping cart is a necessary evil—particularly if you’re shipping items overseas. To help with this, you can include some progress or “step” indicators that let customers know what step they’re currently on, and how many steps remain. It’s no secret that customers love coupons—but there’s an inherent danger in making them available too often. Of course, having coupons is a great way to encourage sales, but too many too often can have a chilling effect on sales. If customers are always accustomed to getting discounts on their order, they may find the normal price a bit too high and start searching elsewhere to get the deal they’re after. To combat coupon overload, use them where it makes sense—and, to encourage more people to sign up for your special offers, make coupons available to users who are subscribed, showing how much they’ve saved (on average) in the last month. It’s tempting to gloss over this part—especially when you exclaim “But I HAVE a Call to Action button!” It’s not enough. 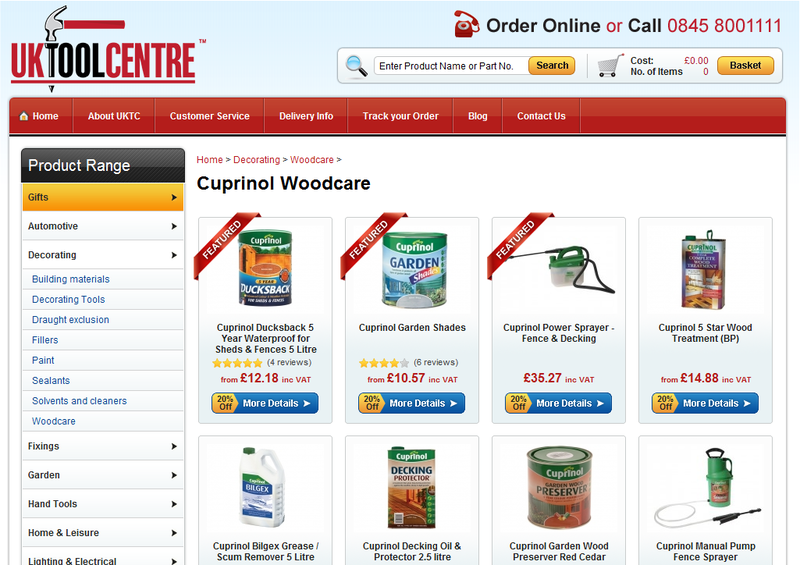 Ask yourself: Can it easily be found amid all the other information on your checkout page? Is it large enough and color-contrasting enough to get noticed? Keep in mind that now is also not the time for those business surveys, last-minute deal popups and other junk that only seeks to stop the customer from completing the checkout. Yes, they’re in a buying mood—otherwise they wouldn’t have come this far. No, that does not give you an excuse to pepper them with surveys at the last minute. Call-to-action buttons should ideally be beveled and/or have a shadow to give them a button-like appearance. Another little-known graphics trick is to create an arrow either on the edge of the button or noticeable within it to give the illusion of forward movement. This is a sticky point for both shoppers and businesses. On one hand, customers want a personalized shopping experience. On the other, they don’t want to give out too much information. But vendors want (and need) to be able to collect every relevant piece of data on a shopper they can. There’s a BIG trust factor looming on the horizon, especially when a brand asks a customer for personal information. How does she know you’re not going to sell her information to the highest bidder or spam her with sale notices every time you mark down the price a little? For example, if I’m buying a digital product, why do you need my phone number? I’d understand if it was a tangible item and something went wrong in shipping—that’s something I’d definitely want to know. But digitally? It’s just not necessary at this step. Now, this doesn’t mean that you can’t come back later—after the sale—and ask the customer for more details. A quick survey about their personal shopping tastes in exchange for $10 off their next order? That will certainly encourage more prospects to open up. But as marketers, we walk a fine line between giving our customers the kind of personalization and recommendations they want, and the limited information they’re willing to give us. The more “in tune” you are with your prospects, the more they’ll respect your request for additional details and provide them for a small incentive. HP created a remarkable campaign for its Slate tablet—complete with a corresponding landing page, email and matching marketing message to reel users in and present a sense of familiarity and excitement. Large, Bold Title – The product title is at the top in a large, clearly visible font. There’s no misunderstanding what you’re about to buy. Social Proof – The star ratings and clickable reviews give the consumer a confidence boost before they buy. Large, Colorful Add-to-Cart Button – Price and quantity fields are also clearly visible. Attractive Payment Terms – No payments, no interest encourages buyers to order now and be billed later. 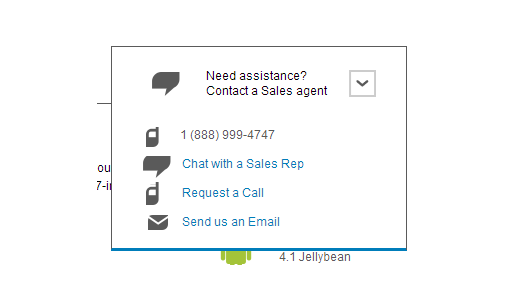 They can call, request a call, send an email or initiate a live chat directly from the sales page. In this chapter, we’ve learned just how crucial the checkout page is as part of your overall ecommerce optimization strategy. But, it’s important to note that your ecommerce experience doesn’t just begin and end with your site. It can also include all the facets that your brand is attached to: namely, social and mobile channels. In the next chapter, we’re going to take a closer look at how to prime the pump of social marketing so that visitors are in the mood to browse and buy from the moment they see your page. It may seem like a tall order to fill—after all, it’s called social media and not shopping media for a reason! But there are plenty of brands, large and small, that do this well. Let’s learn from them. Many old-fashioned marketers look at social media the same way they do paid search—whoever has the loudest voice and the biggest wallet wins. 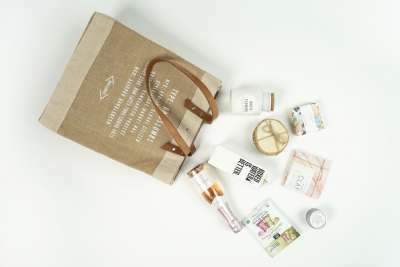 Unfortunately for them, that’s not the case—since people have become increasingly dependent on the recommendations, shares and likes of their friends and family, to the exclusion of commercial brands. Back when Facebook allowed businesses to become a part of its network, there was a noticeable outrage, then scoffing across the social sphere—businesses could never make it on a social network. And to some extent, they were right. Businesses that sell, sell, sell and never respond to customer inquiries or complaints are doomed to wither on the social vine. But there are many brands that have bucked that prediction and turned social media fans into outright brand advocates, reaping thousands upon thousands of likes and comments for themselves. Facebook Business Pages that Rock! Don’t you just want to reach through your screen and take a bite? Nearly 8,000 fans would too. But great photos aren’t the only thing Molly’s has going for them. Their cover photo is also smartly done (see below). 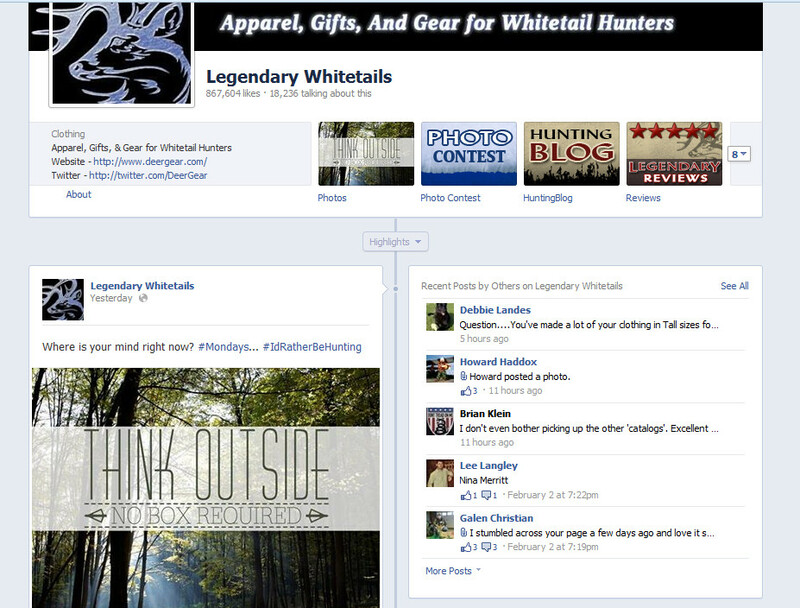 Another example comes from Legendary Whitetails, also known as “Deer Gear,” a small hunting shop that specializes in clothing and accessories. Notice how their Views & Apps (the four thumbnails below the cover photo) not only showcase photos, but also their reviews, a themed hunting blog and a contest. Your Views & Apps are a great place to engage followers. Inviting them to click and order online (with relevant reviews and testimonials right below) can be an encouraging spark for users to take action. Of course, a Facebook page is about more than just an attractive cover photo or good-looking pictures and inspirational quotes. You also have to encourage and react to customer feedback rather than leaving your page as a ghost town and hoping readers don’t notice. 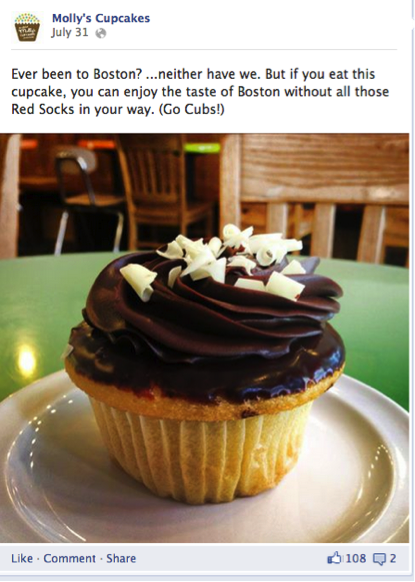 Shoppers often make comments, suggestions and share ideas through Facebook pages, as they did for a local donut shop in Dallas, Texas. Not every suggestion will turn into an event or actual product, but thanking and acknowledging the customer for their feedback can lead to some incredible brand loyalty! We often hear stories of celebrities and politicians making share-worthy gaffes that they’d rather forget, but with Twitter, businesses and experts can get in on the action too. It’s time to embrace Twitter as a source of targeted traffic. Here’s how others are doing it. Misty Young, otherwise known as @Restaurant_Girl is the owner of four restaurants, a best-selling book and provides corporate speaking, training and consulting services. She “only” has around 2,300 followers, but those that do follow her are keenly interested in her advice, discoveries and resources—all of which send traffic back to her personal site or to one of her restaurants. Two of the most important things that Misty does are spotlighting other people in her industry and sharing related topics that are worth mentioning. She also retweets posts from customers who share pictures of their feed (from one of her restaurants) on Instagram or Twitter, and highlights workshops and other events that other speakers and trainers may benefit from. #Dont #You #Hate #It #When #People #Do #This? Most avid social media users do. One or two hashtags is plenty to spread the word. Tai Goodwin, host of Launch Talk, knows that hashtags are meant to be used in ways where it makes sense. She often tweets tidbits about her Launch Talk guests, plus snippets of information and details that are relevant to her target audience, working moms and women entrepreneurs—a group that she targets in her bio and related services. 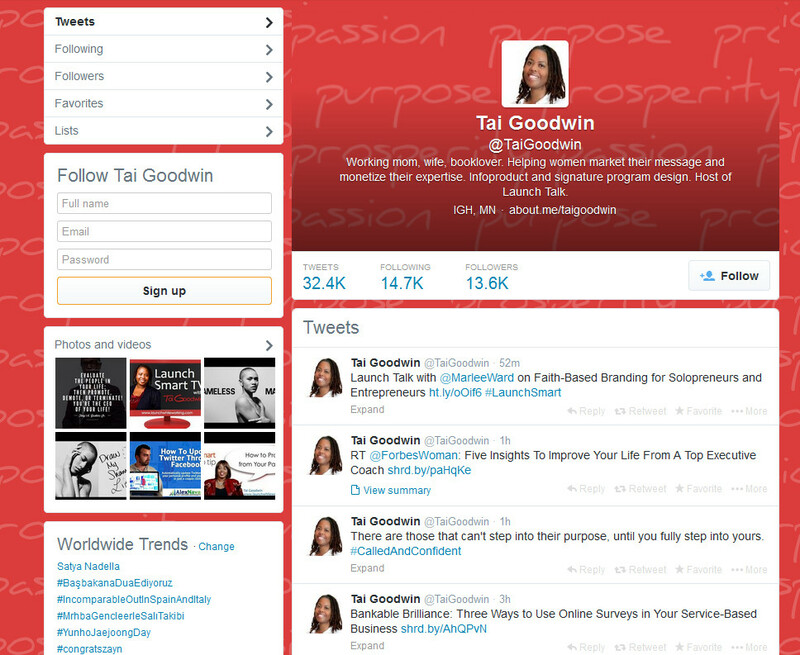 Tai also tweets links to quizzes that can help people more closely align with their purpose. Small but significant points like these can be just the right nudge that someone needs to get back on track. Another thing that small businesses do is share the love—often. When someone tweets praise, good business practice on Twitter is to thank the giver and build relationship. But what if they aren’t tweeting praise? When someone tweets a complaint, it’s good practice to address the concern publicly, letting the client know that your company is taking steps to remedy the situation. This not only shows that you’re ready to be attentive to people’s needs, but that you’re making efforts to clear up the situation or misunderstanding so that everyone wins. Pinterest was one of the fastest-growing social networks on the web, and it’s easy to see why. Searchable, “pinnable” images provided inspiration and motivation for many people—who would in turn invite their friends to contribute to “pinboards,” large image-pinning areas where other members can contribute. Think of Pinterest as an open canvas where everyone is invited to inspire and be inspired. According to ecommerce provider Shopify, Pinterest can help fuel ecommerce sales through its unique social angle—making it roughly equivalent to Twitter in terms of engagement and share-ability. Although Shopify’s study mainly looked at its own brand of stores together with Pinterest, the overall results were definitely something to take note of, especially if you’re in a more visually-oriented profession. The daily number of Pinterest users has increased by over 145% since January 2012. Pinterest pins with prices get 36% more likes than those without. 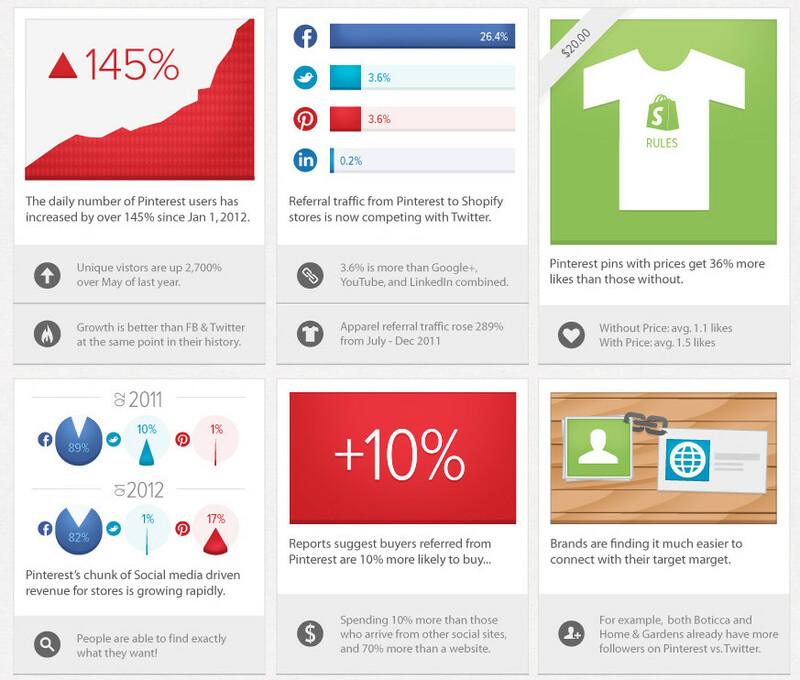 Many brands have more followers on Pinterest than Twitter. Reports are suggesting that buyers referred from Pinterest are 10% more likely to buy. What’s more, orders from Pinterest are double those from Facebook, and even higher than Google or Amazon. Lay out your organizational space by creating Pinboards around your products. Pinterest advises that you create boards around ideas rather than things. So for example, if you sell candles, your Pinterest board may show “Things We Love About Fall,” showcasing a few of your fall favorites (candles and otherwise). Add professionally taken photos to each board. Not every user will follow every board—this is normal. Some may be interested in inspiration, others in do-it-yourself projects. Share your inspirations. Don’t just use Pinterest as a showcase for your own things, but the items from elsewhere that complement (not compete with) your own products. Add “Pin It” buttons to your photos on your website, or optionally embed your Pinterest boards to your site itself. 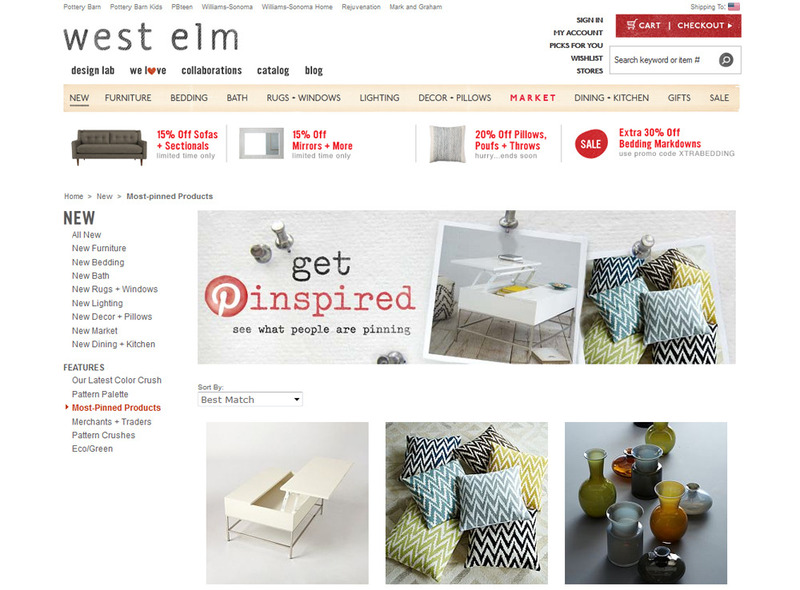 Pinterest and many popular website content management systems include methods of doing this. A recent study showed that shoppers want more personalized offers, but they don’t want to give out too much personal information. This presents a perplexing problem for online retailers—how do you find the right balance of value and communication to build brand loyalty without looking like a digital stalker? 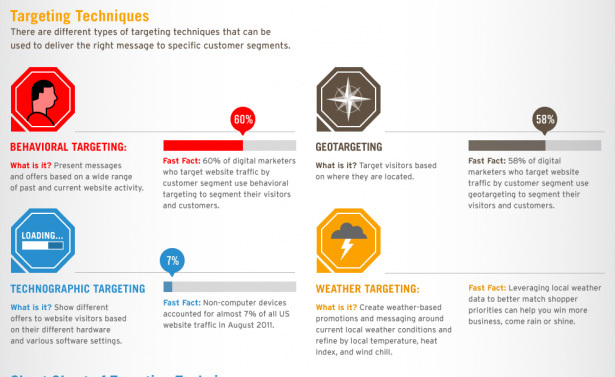 What’s more, there are different types of targeting based on this information: behavioral, geotargeting, technographic and weather targeting. Behavioral and geo-targeting are the most common, while technographic targeting is still a bit of a grey area (see the Orbitz Mac vs. PC pricing controversy above). Still, it’s very common to target users based on PC vs. mobile device and display a responsive website accordingly (see Chapter 5 for more details on optimizing for mobile), but as of this writing, technographic targeting is still very much in its infancy. And these spending trends then beget the question, Where does social media factor into all of this, and how does it convert? You may be disheartened to know that, overall, social-based conversions are still tepid at best, with Monetate’s research showing a pathetic 0.59% conversion rate. 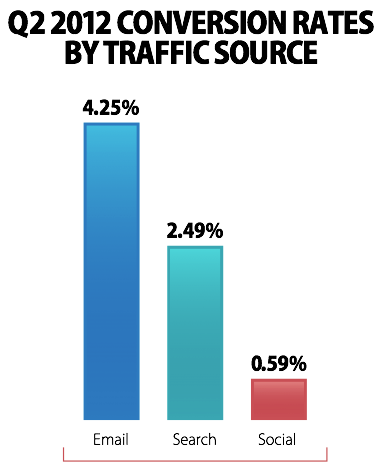 Search-based conversions are better at a rousing 2.59%. But email-based conversions are the real jackpot, revealing a 4.25% average conversion rate for users. Does that mean you should ditch your social initiatives and focus exclusively on email? Not at all. Social is social for a reason. Use those campaigns to build rapport with your customers and invite discussion and shared experiences about your product or service. At the same time, always be looking for opportunities to grow your email list and offer extreme value to your subscribers in a way that builds reciprocal action. In the next chapter, we’ll take a look at optimizing your ecommerce website for mobile, including building a responsive site, responsive emails, and even apps. If you don’t think people are comfortable shopping from their mobile phones, think again. 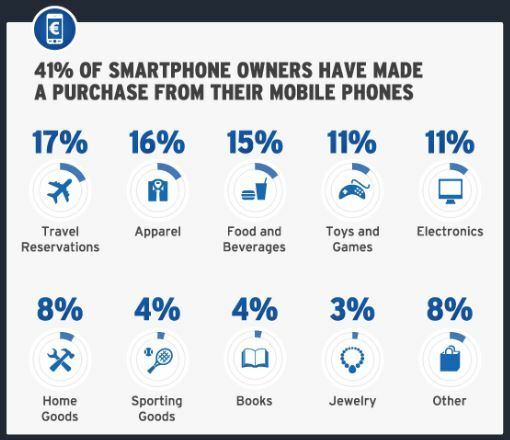 Mobile is taking the web (and ecommerce) by storm. 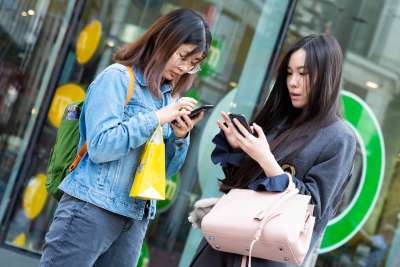 Although smart phones have been nestled comfortably in our daily lives for several years now—you may be surprised at the increasingly important role they play in online shopping. Mobile commerce (m-commerce) is growing by leaps and bounds—projected to hit $31 BILLION dollars in 2015 in the U.S. alone. Between 40-50% of users say they’ve made a purchase via their mobile phones and feel comfortable doing so. So what are they buying? 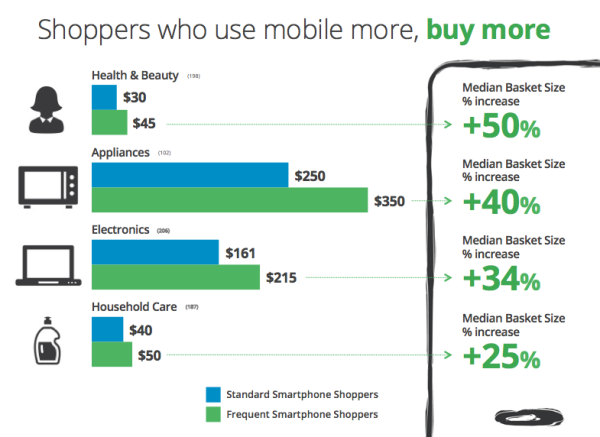 With that being said, how do you get in on all this mobile shopping action? The first step is to have a responsive website—a website that is built on a framework which can understand and organize itself for mobile-friendly viewing. No matter what content management platform you’re using, there are many different responsive themes, layouts and templates you can use. 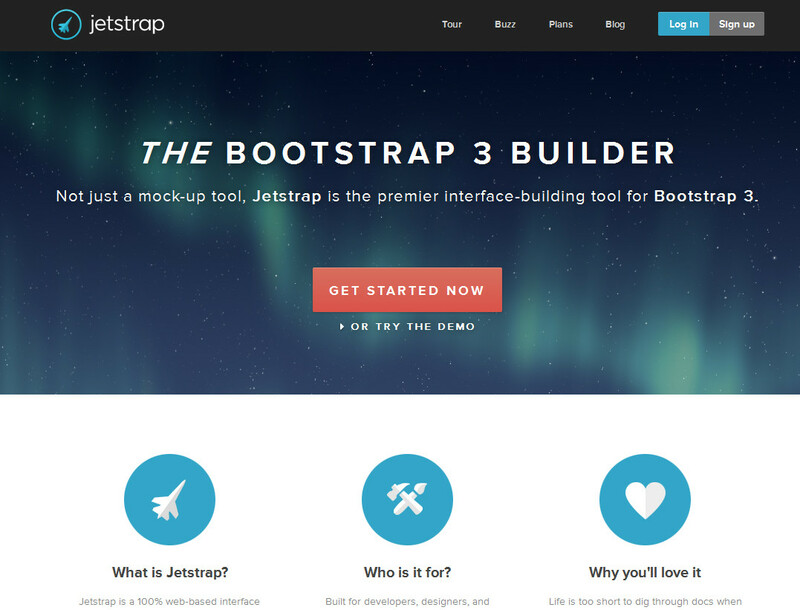 Jetstrap is made for people who don’t want to spend a lot of time digging through code or responsive website documentation, but simply want to make clean-code mockups quickly and easily. It’s a great foundation for your own responsive design and comes with many different examples that you can drag and drop right into your page. If you’re already using an existing ecommerce storefront service, like Shopify, you’ll be glad to know that there are many free and paid responsive templates available for it as well. 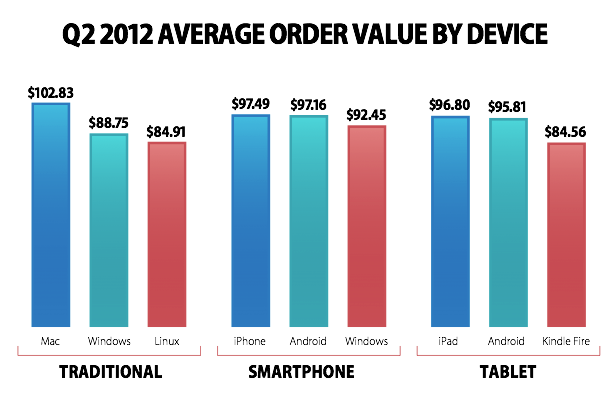 The next step to optimizing your ecommerce site through mobile is to test your responsive design. The good news is that you don’t have to own every version of every device to make this happen. Computers are pretty good at emulating what other systems do—and bringing that functionality to the web. One such live mobile responsive testing tool is Browserstack. Used by Adobe, Microsoft, Visa, eBay and many more, this service allows for rapid-fire live testing of your responsive site via cloud-based servers—meaning it’s incredibly fast and accurate. If you’d just like to test the performance of your mobile site, there’s a site for that too—and it’s free. 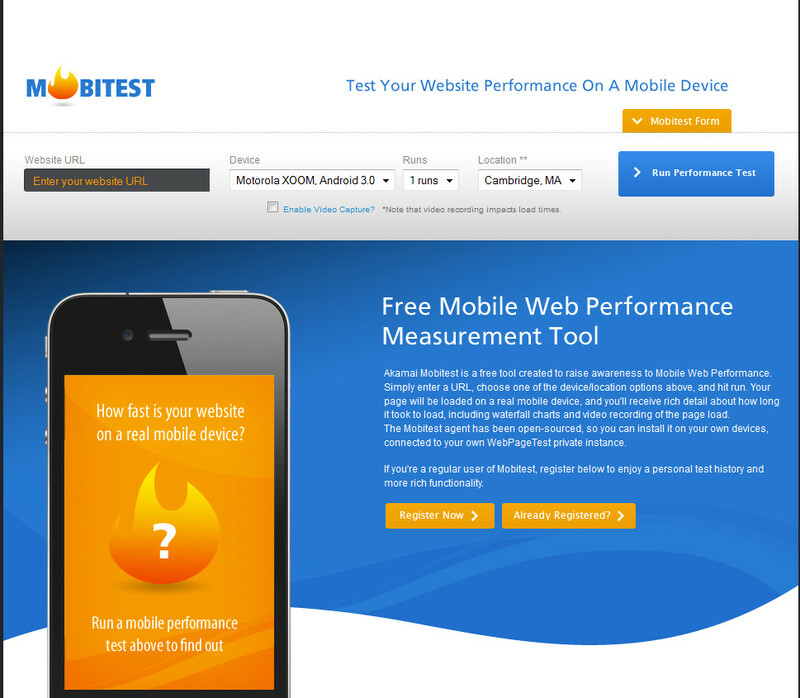 Mobitest will let you enter your website URL, then test the performance of your site against Motorola Xoom/Android 3.0, iPad 1, 2 and 3 (OS 5 and 5), and Android 2.3/Nexus S.
You can also enable video capture of your recording, although as noted on the site, this will slow down loading times. The best responsive frameworks allow for a variety of past, present, and even future devices to be rendered professionally and cleanly on the screen, and sites like Mobitest will help you pinpoint any issues that could be hindering the load time and other performance points on your site. One of the biggest causes of slow loading times (beyond large graphics and scripts on your site) are social icons. Now this may seem contrary to all the other lessons in this guide, since you want to be able to optimize social channels, and having like/share/tweet icons loading is one way to do that. However, waiting for the icons to be loaded from their various sites (Facebook, Twitter, etc.) can add several seconds of load time to your pages. Plus, considering that many people leave a page if it hasn’t fully loaded within a few seconds, time is of the essence. To help combat these slow loading times, there’s Socialite. Socialite uses “lazy loading” to quickly load relevant social icons any time and any way you want. If a user hovers over an image or reaches the end of an article, for example, the icons can load on-demand. This way, you don’t have to worry about waiting for other elements on the page to load while the user gives you a coveted like or follow! Another cause of slow-loading pages are graphics made up of stylized fonts or icons. Icons themselves can look blurry and “washed out” on mobile devices—particularly those using the crisp, clean “retina” display, which allows for more pixels in a smaller area—and thus the appearance of brighter, sharper designs. With this in mind, IcoMoon has developed and combined nearly 5,000 free vector icons that can be imported into your page via CSS. Not only does this free up considerable space that would otherwise be used for loading graphics, but it also makes sure your icons look great on mobile devices. 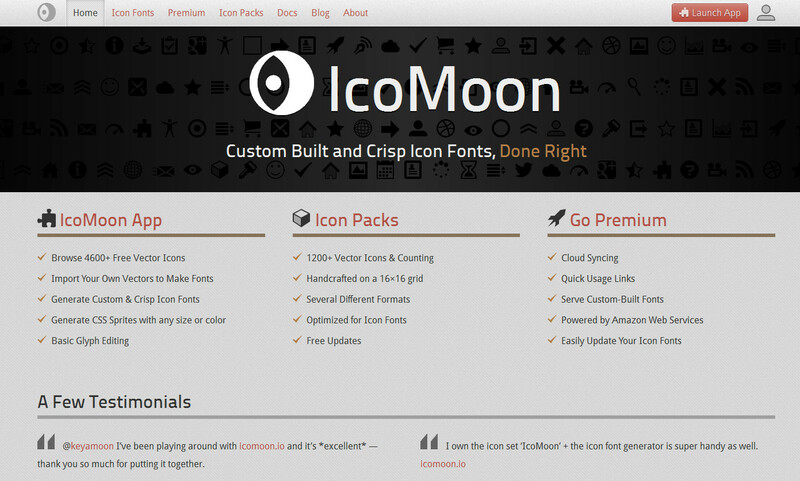 You can even import your own icon designs to create custom fonts. According to email analytics provider Litmus, 47% of emails are now opened on mobile devices. That means that not only should your ecommerce website be responsive, but your emails as well. Unlike responsive websites, where a one-size-fits-all approach can be used to make a site responsive across different browsers and devices, emails don’t have that luxury. There are far too many email programs, services and devices to begin to even think of creating something that could test and account for them all. But that doesn’t mean that all hope is lost. 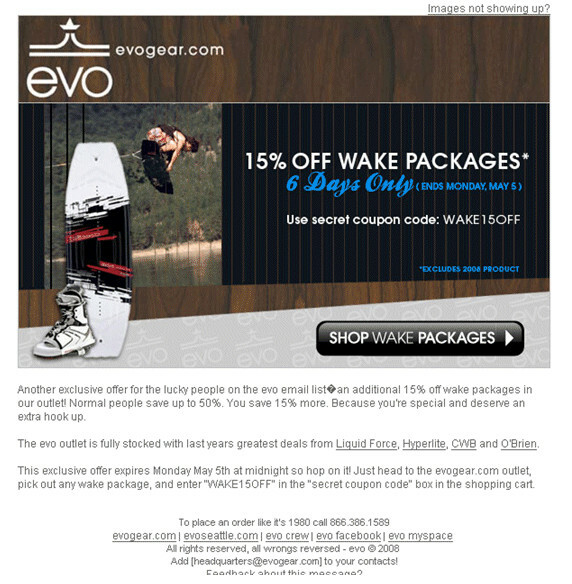 Many email marketing providers now have responsive templates built into their systems which you can customize with your own logo and content. As with anything on a mobile device, large, tappable buttons, short amounts of content and noticeable headlines are key to encouraging customers to go beyond the message and onto your site. Many customers will delete an email that doesn’t look good on their mobile phone, rather than try to haphazardly navigate around it. At some point or another, you’ve likely wondered whether or not your business needs an app. After all, nearly every major ecommerce website has one. Building an app is much like creating your foundational business plan. It isn’t (and shouldn’t be) something that you simply have whipped up in an afternoon. You’ll need to consider what, precisely, you want the app to do that your mobile responsive site cannot accommodate for. If you wanted to build a game around your business or provide simple tutorials, push-notifications or other resources that your website doesn’t have, then an app would be the ideal solution. Keep in mind, however, that unlike your website, an app is not universal to different devices. The same app can’t be used on an iPad, Android or Blackberry device, and different versions will need to be maintained and supported regularly. Consider your core business goals, your target audience’s mobile-savvy skills and whether or not they’d readily download an app that already does what your website does. As you have seen, there’s a lot that goes into optimizing an ecommerce website. You’ve learned how to tweak social media channels and how to fine-tune your checkout process. You’ve discovered some mind-blowing statistics about mobile shoppers and learned some of the major reasons why users abandon their shopping carts. But the bottom line when it comes to optimizing your ecommerce website is the overall customer experience. Customers want to be able to browse, buy and share your site without distractions along the way. They want to know that their order is being taken care of promptly and how to reach out to you if they have any questions. Perhaps most importantly, you should remember that ecommerce optimization, like other types of conversion optimization, is not a one-off task that can be marked off a list. Rather it’s an ongoing learning process—and the better you become at it, the more you’ll reap the rewards in terms of more customers, greater brand loyalty, more sales and greater profits! 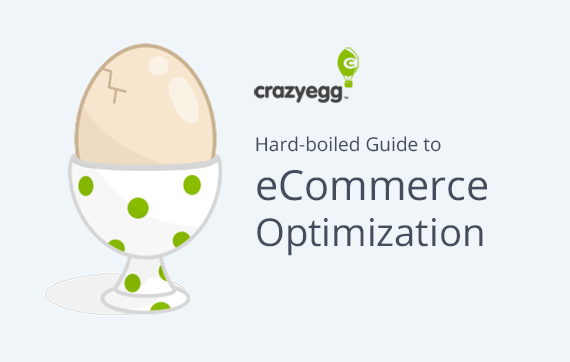 Love this guide to eCommerce Optimization? Download the PDF here. make your ecommerce site more profitable.